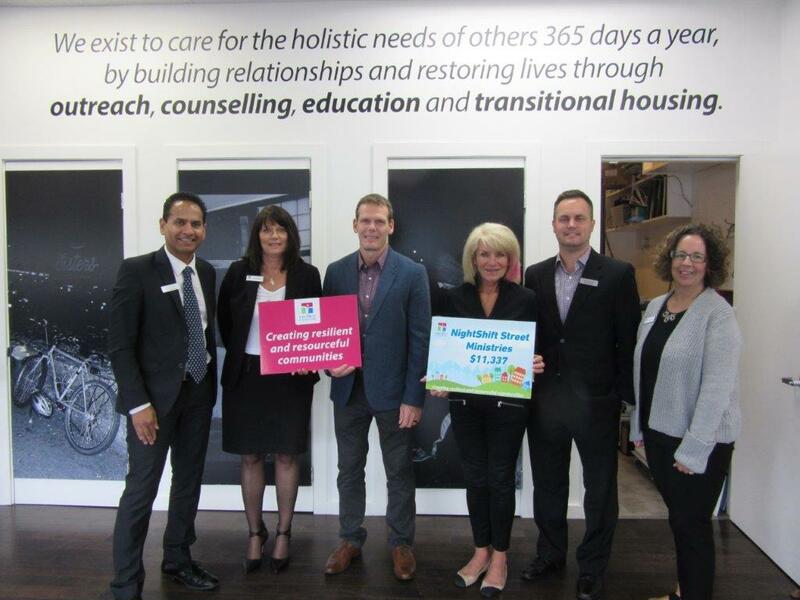 Pictured, Kenneth D’Sena (Envision Financial), Susan Byrom (Executive Director, First West Foundation), Jeff Dyck (Director, First West Foundation), MaryAnne Connor (NightShift Street Ministries), Michael Voros (Envision Financial), Sue-Lynda Bate (First West Foundation). When you’re serving a community meal every night, year after year, your mobile kitchen is going to take a toll no matter how much you take care of it. After serving half a million meals to people struggling with poverty, addiction, mental illness and homelessness on our streets, our beloved kitchen trailer – which has hung on for years with duct tape and prayer – is ready to be retired. Earlier this summer a much needed grant from the Envision Financial Community Endowment with First West Foundation came to our rescue. 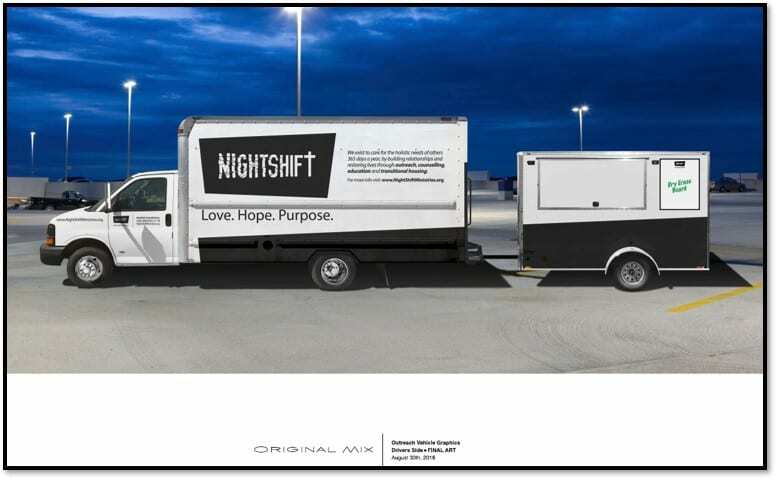 The grant has enabled NightShift to fabricate a new serving trailer which will be on the road next week! We are ‘over the moon’ excited and very grateful for this amazing funding opportunity from Envision Financial Community Endowment with First West Foundation. Stay tuned for pictures as we start serving our nightly outreach meals from this beauty!